The Student Conflict Resolution Center recently opened with the goal of becoming a trusted source for conflict resolution services for University of Oregon students and offering support for students facing challenges. Previously known as Conflict Resolution Services, the new name more accurately describes the student-centered program and services. In addition, the center relocated to a more private and permanent location at 1691 Columbia Alley, next to the university’s ombuds program. 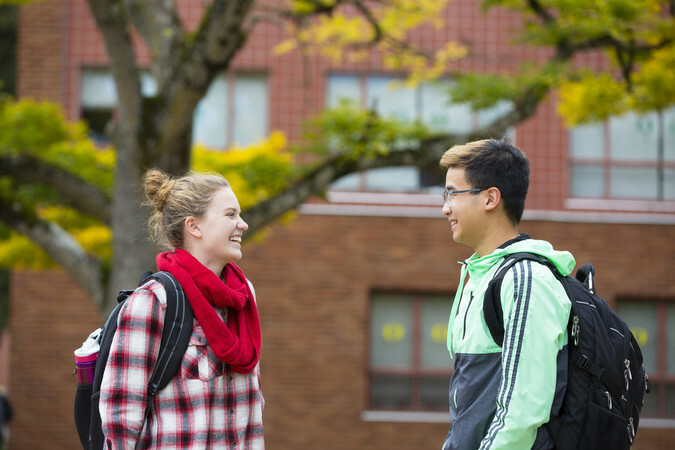 “This new location next to the ombuds program gives students a more inclusive hub where they can find support in navigating any campus-related need or concern,” said Jennifer Hudson, assistant UO ombudsperson and director of conflict resolution center. The center is a private, impartial and informal problem-solving resource for effective communication, collaboration and conflict navigation and management which aims to serve all students, undergraduate and graduate, free of charge. The center will have conflict resolution and dispute resolution graduate students working as interns. The center provides services such as consultation, conflict coaching, meditation, facilitation (large and small groups), restorative justice and trainings and workshops upon request. “The best part about working for the (center) is empowering students to transform their lives through engaging effectively with conflict,” said graduate employee Mason Atkin. “Conflict is scary. It’s hard to talk to someone you disagree with or who has hurt your feelings. Learning how to have these conversations is a huge confidence boost — you know you can handle anything. More information about the center can be found on its website. They also can be followed Facebook, Instagram and Twitter @UOSCRC.